Summer hits, and all I want are cold, refreshing treats! 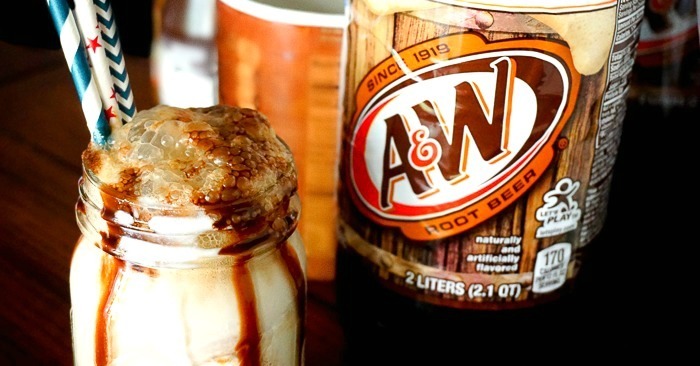 It’s simple – nothing breaks up a hot afternoon or tastes quite as delicious for dessert after being in the sun all day than an ice cream float, especially an A&W® Root Beer Float. Root beer has always been a favorite in the family, especially with the kids, so offering a dessert with root beer in it is an easy win. Plus, they are just so easy to make. No oven, no mixing of ingredients, no wait time. Just scoop, pour and enjoy! 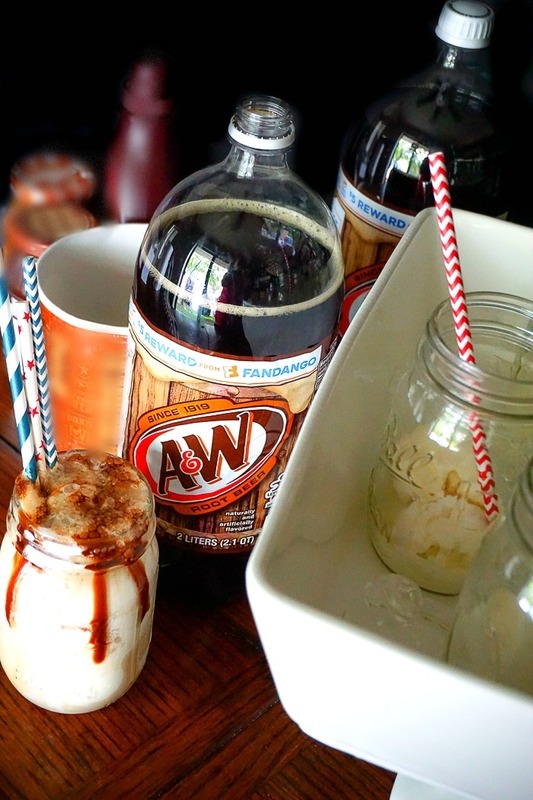 I thought it would be fun to share with you all one of my favorite ways to serve up A&W Root Beer Floats during the summer. While easy to make, they can be a little time consuming between making the first float and the last float depending on how many you have to make. Plus you get the arguments about who gets the first one made. 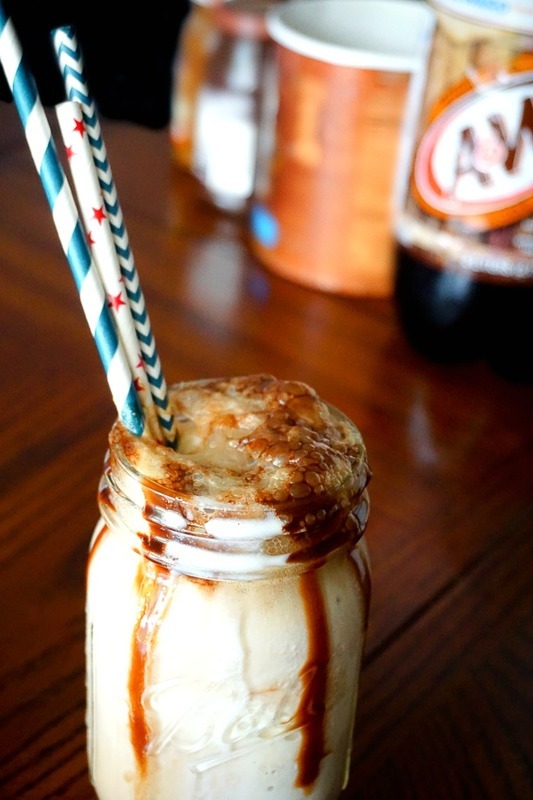 Making an easy Root Beer Float bar eliminates all that. Take a big bucket or platter that will allow you to have mason jars with plenty of ice on the bottom to keep the ice cream from melting. Once you have that all set up with the ice in place, start scooping your ice cream into each jar and top off with a fun, colorful straw. That whole process took me about 10 minutes of prep with 7 jars. If you want to make a big impact, don’t tell anyone ahead of time about the root beer floats. 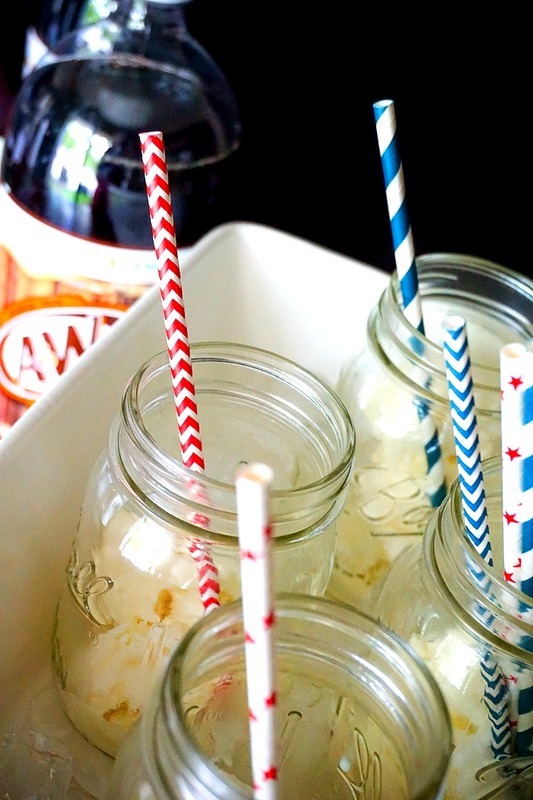 Instead, get your bar all set up with the prepped mason jars, A&W Root Beer, and any possible toppings you might like adding (like chocolate syrup – my personal favorite) and see their faces light up when they come running and realize the fun treat they are about to have. It’s such a simple way to bring joy into a summer day, and we all need some extra joy in our lives! How simple? If I haven’t convinced you yet, maybe this will. This was one of the very first things I made in our new apartment. It was 90+ degrees, we were drained from unpacking, there were (okay, are) boxes to still be unpacked, and this seemed like the perfect idea! It really is the perfect treat, and the small treat gave us a fun new memory in our new place and a little boost to keep going! So next time you are in Meijer, make sure to stock up on A&W Root Beer and ice cream like I did so you are prepared whenever the mood strikes you. Now is the perfect time because you can buy 1 A&W® 2-liter, get 1 FREE using mPerks digital coupon at your local Meijer. 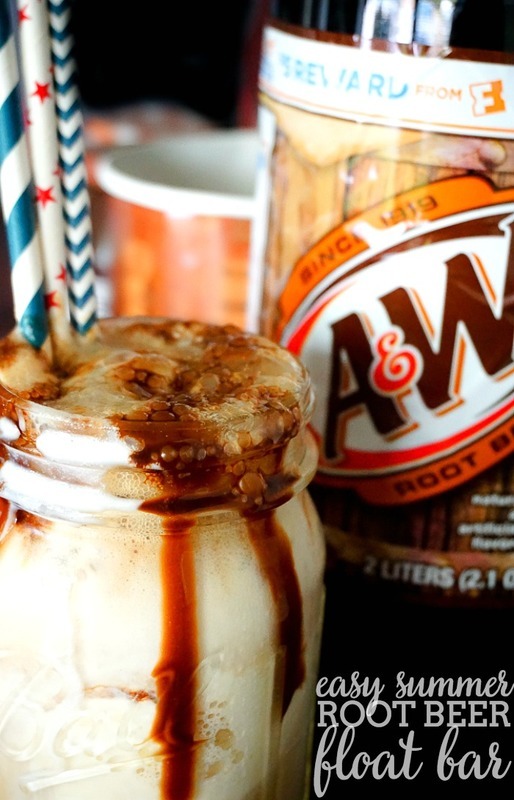 I already told you that chocolate syrup is my favorite topping to my A&W Float? What’s yours?